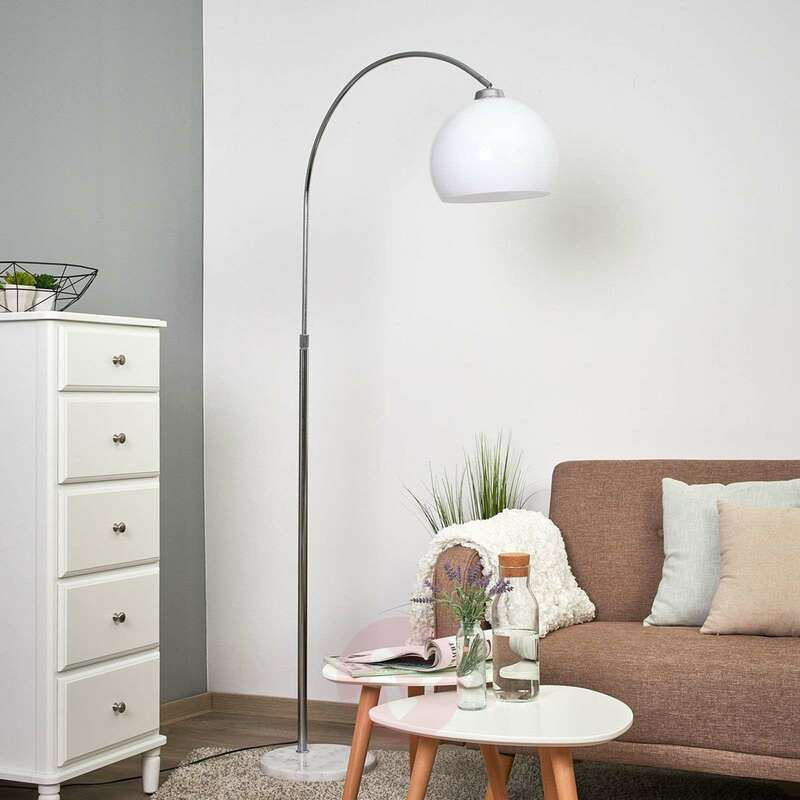 Sveri is a traditional arc lamp of timeless beauty which looks perfect placed next to a couch. Arc lamps are of particular interest as light sources when there is no power connection on the ceiling where the light is supposed to be emitted or there is no space for the base of a conventional floor lamp. 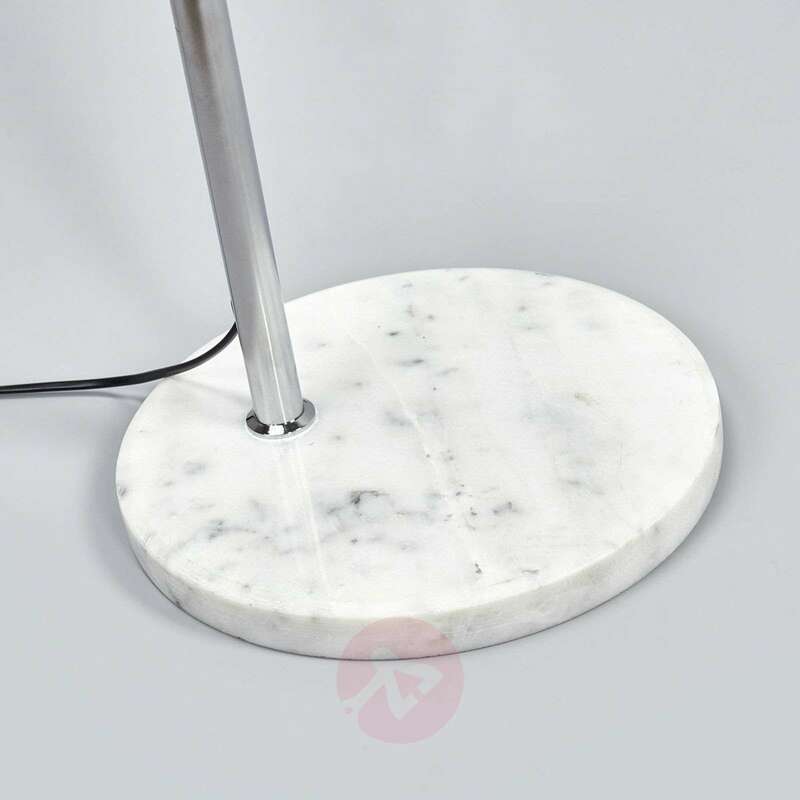 The heavy marble base provides a secure hold and the white acrylic lampshade produces an even light which appears pleasant and cosy. 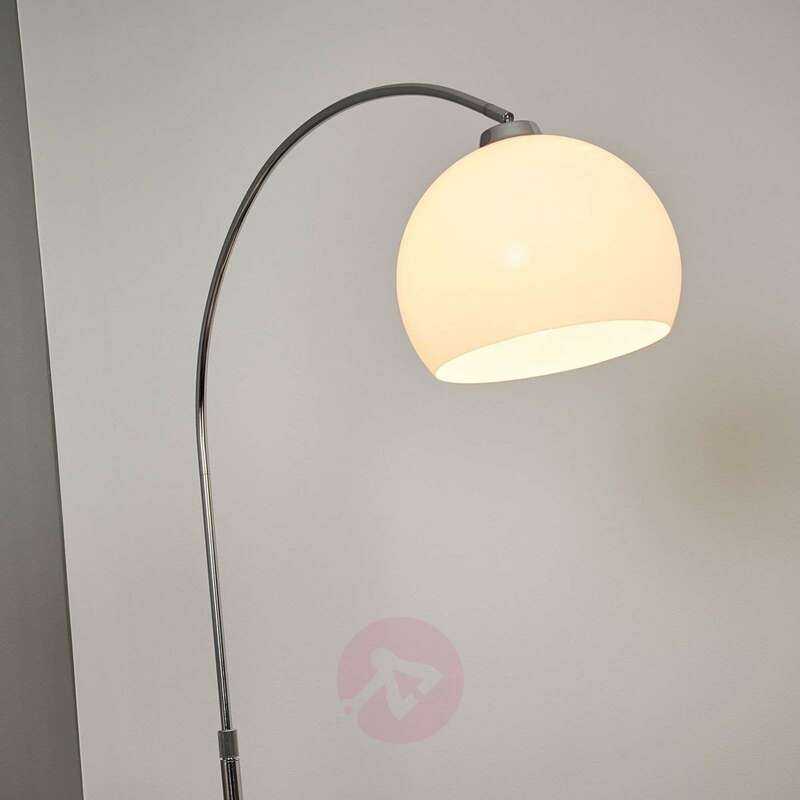 The height of the arc lamp can be adjusted from 148 cm to 188 cm. Is the light bulb pointing downwards? 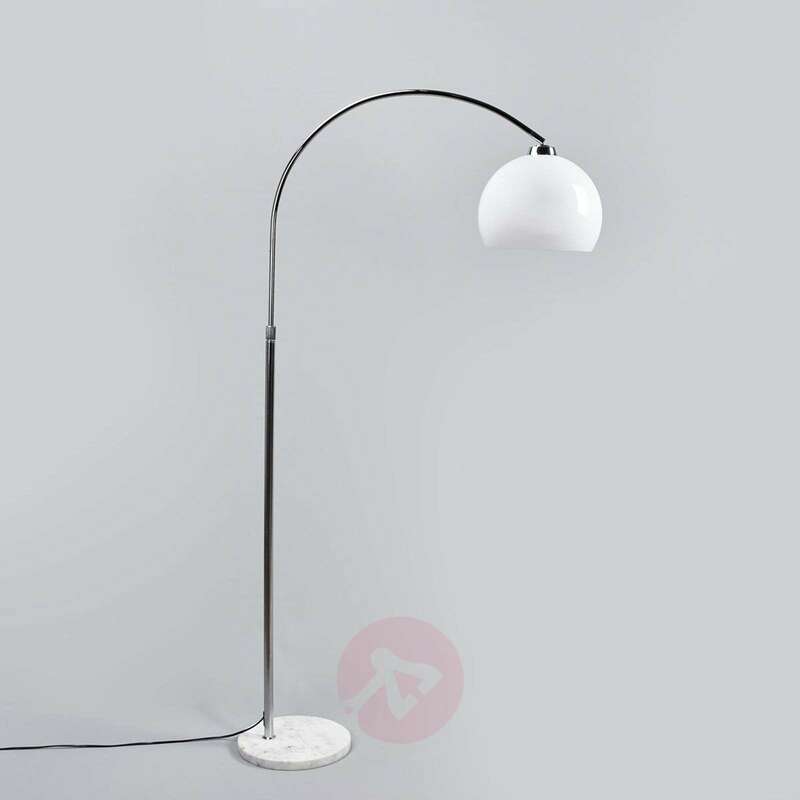 I would like to use it as a light for dining table. The light does point downward. 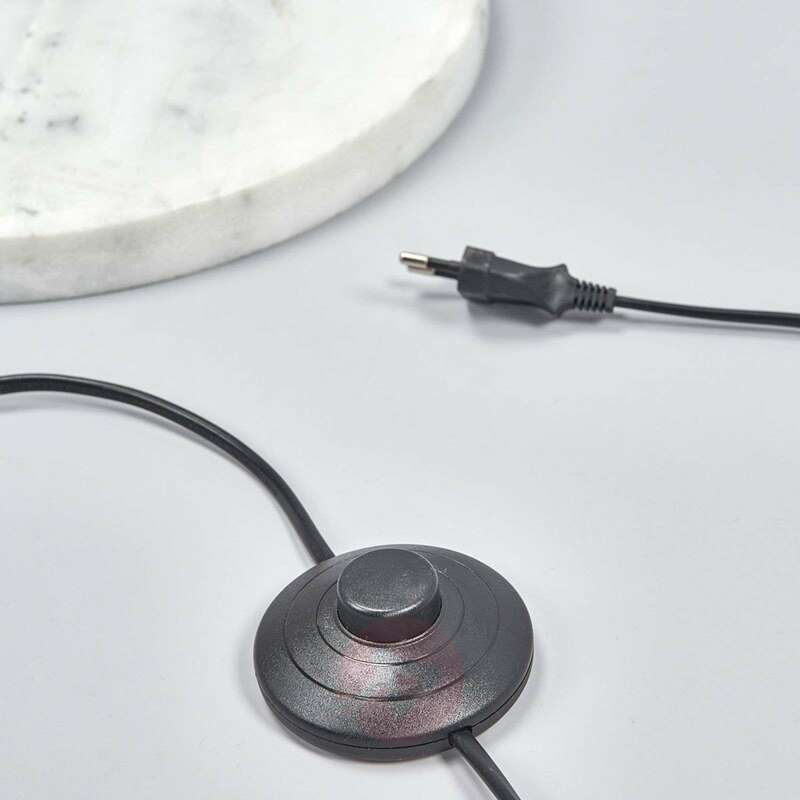 Is this lamp come with a 3 pin Uk plug? 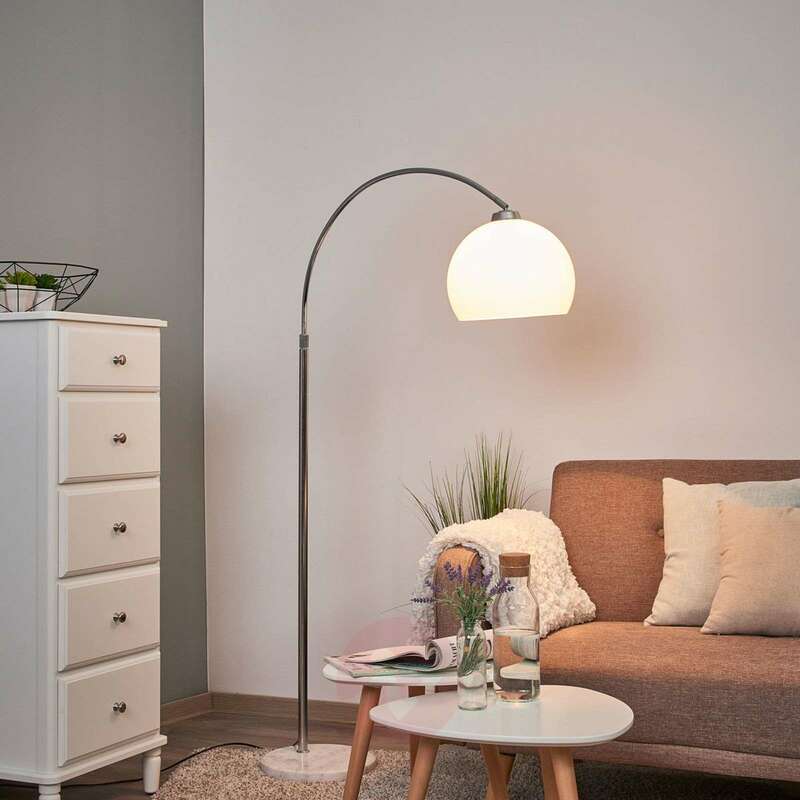 Kindly note that the floor lamp is fitted with a 2 pin European plug however an adapter will be provided to convert the plug to the standard UK/IE 3 pin plug. Can the shade be removed if I want to change it to a material one ? 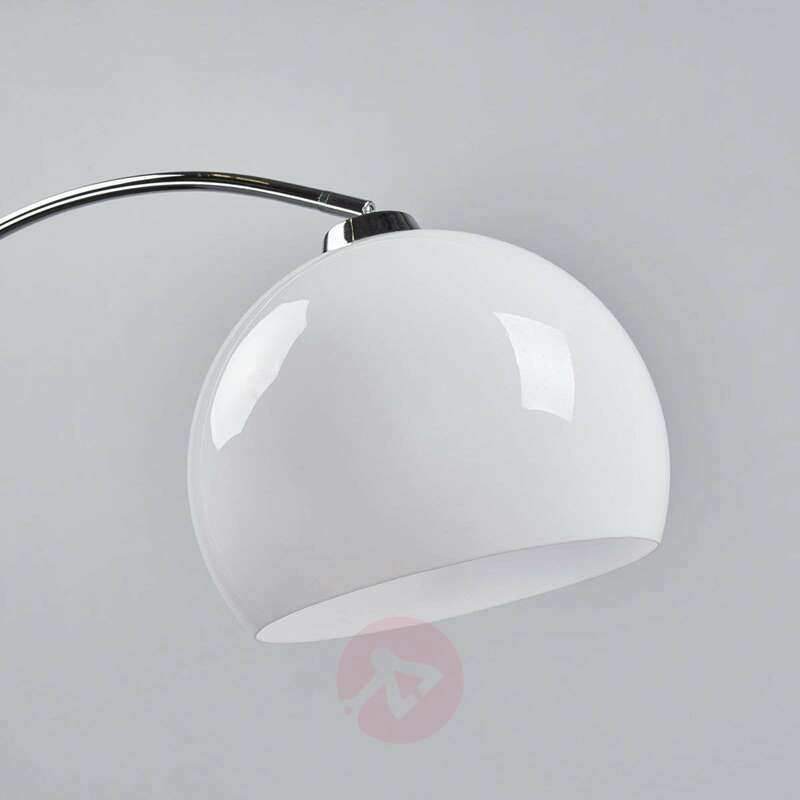 Kindly note that the shade can be removed however it is not advisable to exchange the glass shade with a material shade. 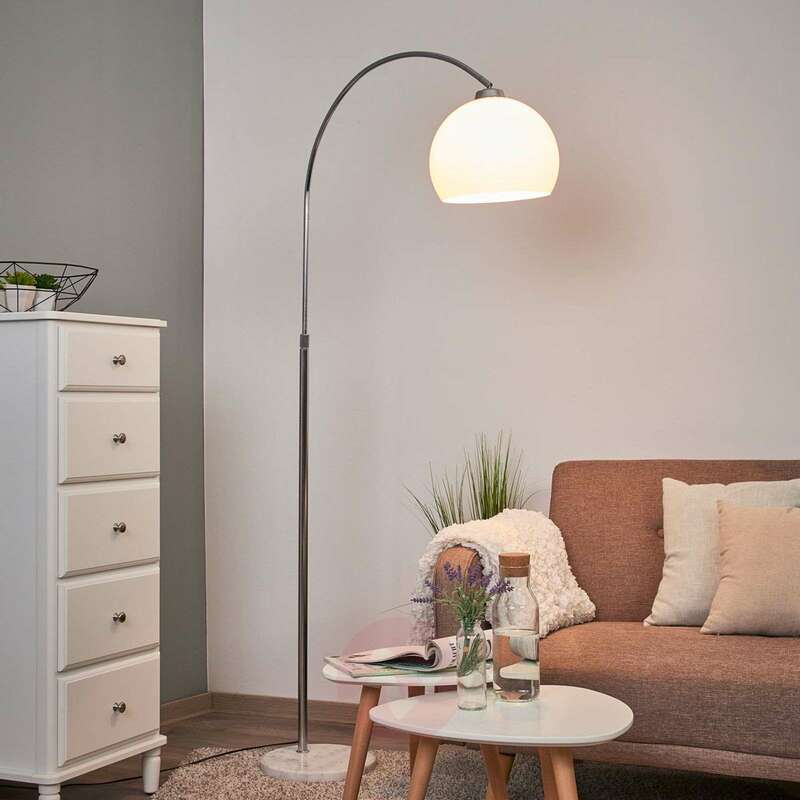 Stylisj lamp. Larger than expected but works well. Great to have foot switch as it's easy to turn on and off.